For the first time, ISRO has invited common people to view the launch. New Delhi: After having knocked out a low-orbit satellite with a space missile, India is all set to launch a surveillance satellite on April 1. “The main passenger is the EMISAT, a satellite for the DRDO and it is a strategic satellite,” ISRO Chairman K Sivan said. The EMISAT for the Defence Research and Development Organisation is a 436-kilogram satellite based on India’s mini-satellite bus. ISRO says the satellite is intended for electromagnetic spectrum measurement. This low-Earth orbit satellite, sources say, will monitor and give locations for enemy radar sites deep in their territory. Till now, India was using airplanes as early warning platforms, but this satellite will give a space-based platform to sniff out enemy radars. The PSLV launch on April 1 will hoist not one but 29 satellites in space. “For the first time PSLV will have a three-orbit mission in a single flight,” said Sivan. “Initially, the first principle satellite will be launched in the 763-kilometre orbit, and subsequently the PS4 will be functioning two times to reduce the orbit to 504 kilometres. There, the PSLV will launch the 28-customer satellite and subsequently the PS4 will be burnt two times to reduce the orbit to 485 kilometres. There the PS4 will function as an orbital platform,” the ISRO chief said. “This time the orbital platform is powered by solar cells and not fully powered by batteries. The PS4 platform will have three payloads – one is from the Indian Institute of Space Technology that is what we are planning,” Sivan said. The launch carries 28 small satellites of the US, Switzerland, Lithuania and Spain. 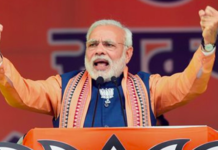 These include 20 Flock-4A satellites and 4 Lemur satellites of the same variety that gave the controversial images that questioned the efficacy of the Balakot air strikes by the Air Force. In this mission, the last stage of the rocket will be kept alive for several weeks before it becomes space junk and it will be used as orbital platform or an orbiting space laboratory where three instruments are attached to the rocket motor. These include a maritime ship identification system, a version of a HAM Sat for amateur enthusiasts, and an experiment to study the upper atmosphere or ionosphere. To witness the occasion, the Indian Space Research Organisation (ISRO) for the first time has invited common people to view the launch. Mumbai Rains: Where Has Technology And All The Satellites Gone?